Delivery: 2-3 weeks from purchase. I discreetly sign CassaRaptor Creations on one panel per art-piece unless requested otherwise. Umbrella handles are subject to change due to availability through my supplier. -Note: Depicted images are original artwork, inspired by fictional characters. 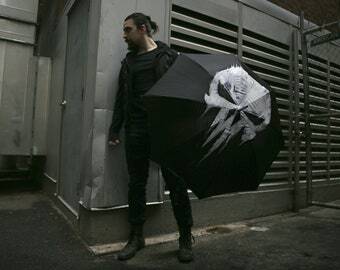 This umbrella is in no way affiliated, nor sponsored/endorsed by any major corporation. All rights reserved. It is absolutely perfect and came super fast!!! Cassidee is an amazing artist and seller. She captured Toothless, Night Fury perfectly. 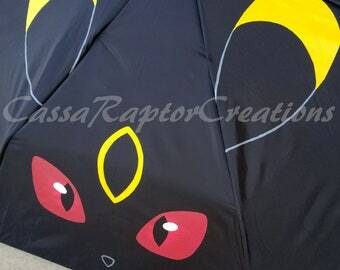 I ordered Night Fury with red tail too and she captured those green eyes. I truly cannot rave about it more. Shipping was super fast, faster than expected. Also, she kept me posted throughout the process, that is great customer service. She went above and beyond. I ordered Light Fury too. Wow, what an artist!!! Cassidee captured Light Fury beautifully. A pleasure to work with, and the custom umbrella looks great! We accept all credit cards, PayPal, and the payment options displayed in the shop. We do not accept outside-personal checks. Items will be started upon purchase of the listing. 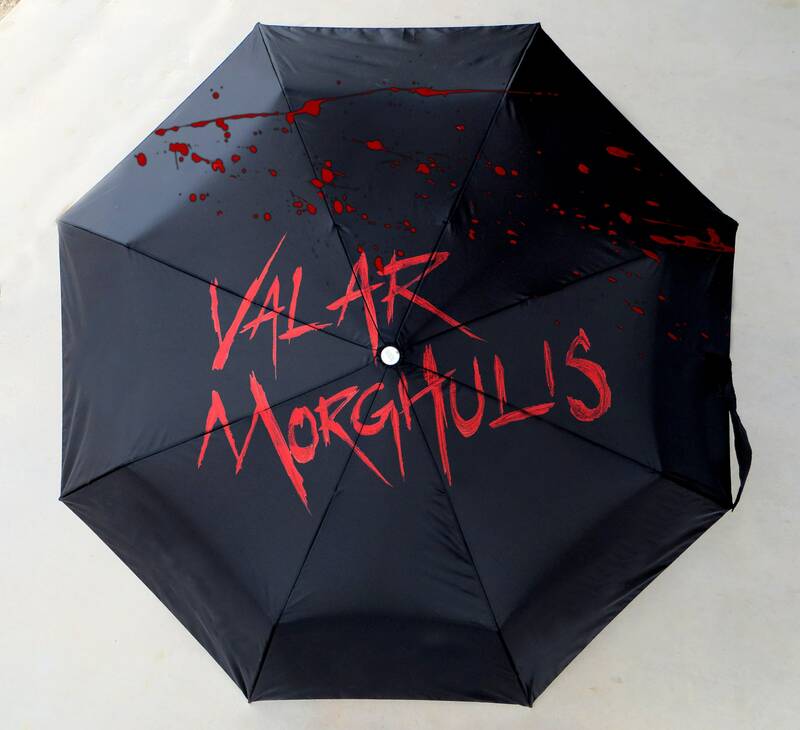 Prices & products are subject to sudden change, as supply-pricing (umbrellas/parasols, etc.) shifts. This includes the availability of metal handles vs. acrylic clear handles. We have a high standard of communication for our shop, and ask that our buyers promptly notify us of any problem that should arise. Please know we do not issue refunds for damages to items already in the possession of the owner, or sustained in shipping. Should you be unhappy with your purchase altogether, & would like to send it back, refunds will be issued upon our receipt of the item in question. 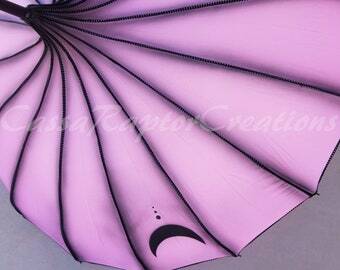 We ask that our customers realize we do NOT construct or manufacture the umbrellas/parasols....yet. 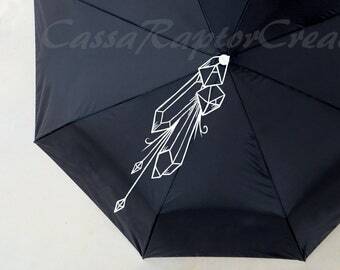 CassaRaptor Creations currently specializes in custom paint-jobs and therefore cannot offer a long-standing guarantee of anything outside the paint applied. Under normal circumstances, our murals will not crack, chip, or wash away. Please be aware: if you are in a high-heat environment, we highly suggest you do not leave the umbrella in a vehicle where temperatures exceed 85 degrees. We urge you to do so because some items are embellished with airbrush details, & overspray is known to wipe away in extreme temperatures. Designs will be added/deactivated based on popularity. We cannot offer logos/direct pulls from fandoms due to copyright infringement. Our offered designs are artist depictions only. Questions/queries and & quotes are fair game! I personally answer each and every message as best as I'm able. However, if you are interested in a custom concept/sketch, I will direct you to the listing to commission such a beastie.